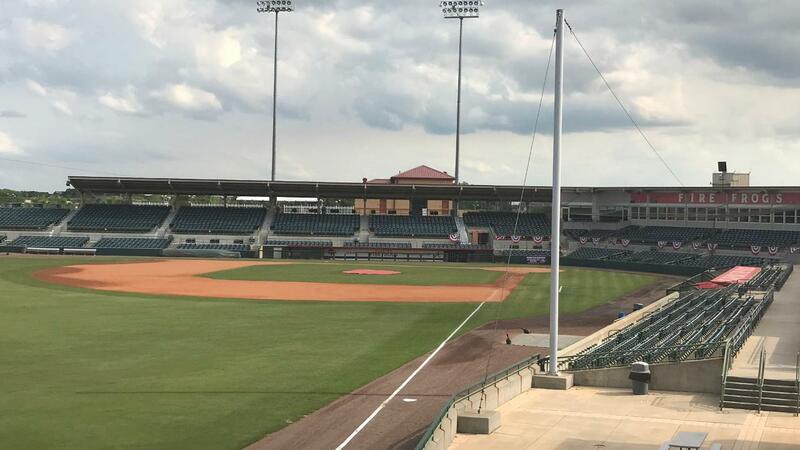 KISSIMMEE, FL: Talented Marlins prospect RHP Edward Cabrera led the Jupiter Hammerheads staff to a shutout victory, 2-0, against the Florida Fire Frogs on Thursday afternoon at Osceola County Stadium. Jupiter (3-5) salvaged a series split and handed Florida (4-4) its first shutout setback of the season. Cabrera (1-1) turned in six dynamite innings on the mound, giving up just one hit, two walks, and recording nine strikeouts in a winning effort. A two-run seventh frame doomed the home team. Back-to-back singles by Connor Grant and Isael Soto with one out off LHP Jon Kennedy set the Hammerheads up to score. Cameron Baranek stepped up next and grounded a ball to first base. He beat out Florida's double play bid, allowing Grant to score and giving Jupiter the lead. Gunnar Schubert's RBI knock then expanded to advantage to 2-0. Kennedy (0-1) permitted four hits and two runs with a strikeout over two innings. Brandon White walked two but fanned three in his two scoreless frames. Almost lost in the offensive struggles was the success of Fire Frogs starter RHP Freddy Tarnok. He struck out five Hammerheads and walked one while surrendering just two hits over five innings. Despite their struggles at the plate, the Fire Frogs battled hard and nearly broke through in the seventh. William Contreras led off the stanza with a double. Drew Lugbauer and Riley Unroe patiently waited out RHP Colton Hock who walked them both with two outs to load the bases. Hock got the out he needed though, forcing Shean Michel to fly out and end the threat. Hock struck out two Fire Frogs in his two innings on the mound. RHP Chad Smith got a 1-2-3 ninth inning to polish off the game and earn his first save of the year. NEXT UP: The Fire Frogs climb on the bus and head to Port St. Lucie to begin a three-game series versus the St. Lucie Mets. Friday evening's game will commence with a 6:30 p.m. first pitch from First Data Field.